Danger and death await the Sleepers as they're once again called upon to foul the plans of the Dark Lord! Evil Lord Necros desires to enlist new soldiers in his army, and he's chosen the People of the Desert. When they refuse, the Dark Lord makes an alliance with the Winged Ones - men who fly like birds. These men steal from the desert people. Even worse, they capture and enslave them! 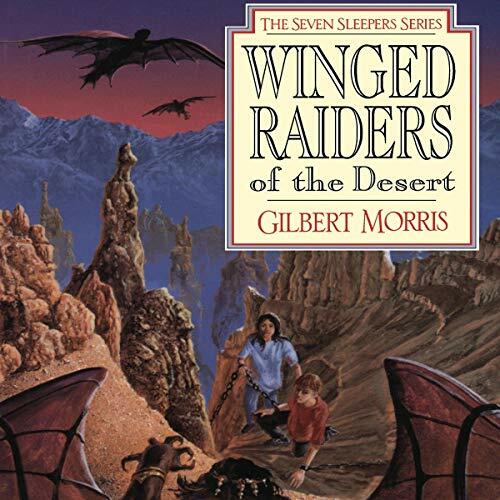 The Sleepers seek peace from the Winged Ones, but as they set out to make a new alliance, they themselves are captured and enslaved. Instead of giving them over to the Dark Lord, the Winged Ones offer them a chance to join their ranks, the learn to fly! But in doing so, the Sleepers must take a dangerous step of faith. Their only hope is to wrest the Winged Ones away from the power of the Dark Lord - a desperate and seemingly futile last resort.